Bethesda has been operating as a full-care home since 1972, incorporated under the non-profit laws of the State of California. Bethesda was formed for the purpose of operating a senior living center for the benefit and care of retired Christian adults. Centrally located in Hayward, Bethesda is an ideal place for a retiring adult who desires the proper balance of solitude, programmed activity, warm friendship, Christian fellowship, and convenience. Our dedicated staff of over 65 full- and part-time employees are committed to provide comfort, friendship, and loving care for all our residents. Well-maintained gardens and walkways give residents pleasant areas to relax and walk in. 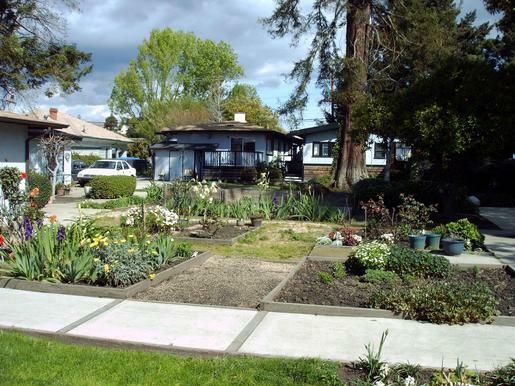 Special gardening plots are available for those with a green thumb. For those in our Independent Living units, there are a varitey of shopping and restaurants in walking distance, including a large public library. Hayward BART is conveniently located two blocks away.